The people at River Horse Brewing Company refer to this beer as their “mild English Ale”. Based upon the bottle that I am drinking right now, I’d say they are very accurate. 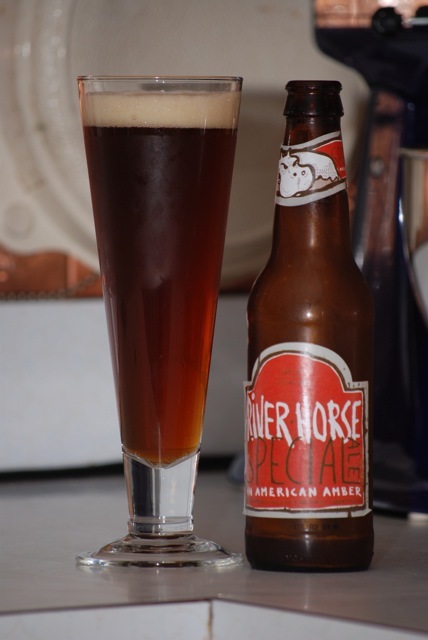 The beer pours to a copper color with a thin, quickly dissipating head, and is well carbonated, but not overly so. As far as the flavor, this beer leans heavy on the malt, with little to no bitterness. Although the beer improved as it came up to room temperature, I would only give it a rating of C+. It is very reminiscent of the Yards ESA that I reviewed in early July, but I definitely prefer the Yards version (especially if it’s hand pumped! ).